For his MSc. 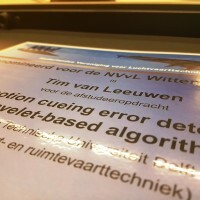 research titled “Simulator motion cueing error detection using a wavelet-based algorithm“, our recently graduated MSc. student Tim van Leeuwen has been selected as the best graduate of Aerospace Engineering for the academic year 2016-2017. 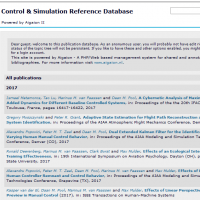 Tim’s research was part of our collaborative research project with the Max Planck Institute for Biological Cybernetics on measuring and modeling time-varying motion perception. As best graduate of AE, Tim is now also nominated for the “Best graduate of the year“-prize of the University Fund and TU Delft. For this, he will pitch his work on Wednesday November 22, 2017 in the Auditorium (Aula), together with the best MSc. graduates of the other faculties. 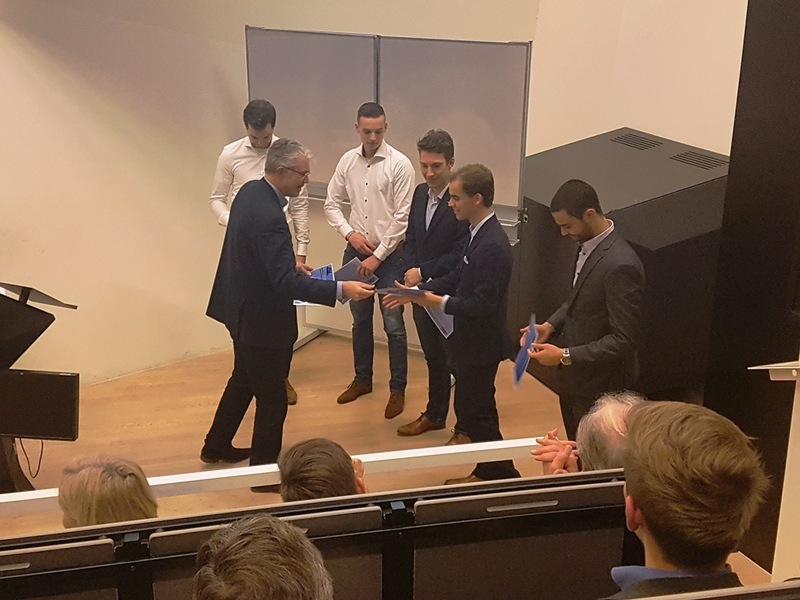 Also, at last week’s NVvL Wittenbergprijs uitreiking 2017, Tim was one of the nominees for the Wittenbergprize, which is awarded to the best aerospace engineering MSc thesis by the NVvL, see picture below.